Are you caught between staying and going? Is your partner ready to end the relationship, but you want to save it? Maybe you’ve tried couples therapy and didn’t get anywhere. This might be because you or your partner are not sure if you want to work it out. In Discernment Counseling that is what we call a mixed agenda couple. This means one partner is leaning in to save the relationship and one partner is leaning out. 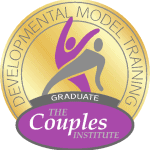 Developed by Bill Doherty and his colleagues, couples engage in a short term, intensive process that last from 1-5 sessions. These sessions focus the partners on one of three paths – status quo, separation/divorce, or a 6-month commitment to couples therapy. Are you ready to rescue your relationship from the brink? Do you want more clarity about the direction you want to take in your relationship? Contact us for more information and an appointment. You also go to https://moderncommitment.com for the most up-to-date information about this unique approach to helping troubled relationships. Couples often seek help within their faith community because of problems in their marriages. You have probably counseled many couples who don’t agree on what to do and are on the brink of divorce. On partner is usually leaning out (I don’t know what I want to do or I have no energy to work on this marriage), and one partner is leaning in (I’ll do anything to save my marriage). We call these mixed agenda couples and they are not ready for traditional couples counseling because they have not discerned their direction and motivation about their marriage. 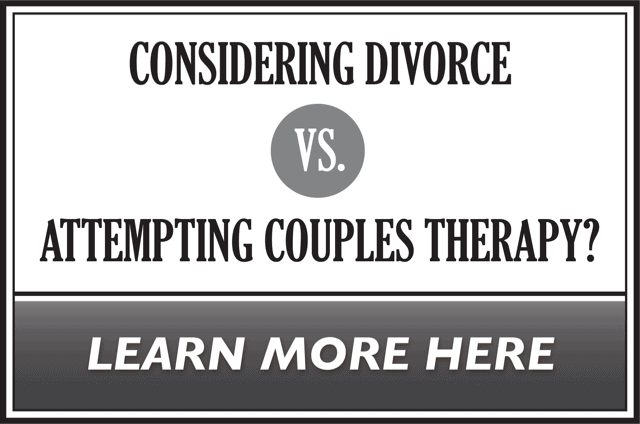 Discernment Counseling is specifically designed to help these struggling couples. In the link below, Bill Doherty, the creator of Discernment Counseling, explains for clergy what this unique approach is about and how you play a critical role in helping couples back from the brink. Your couples can contact me directly through this website or can call me at (530) 446-1930.